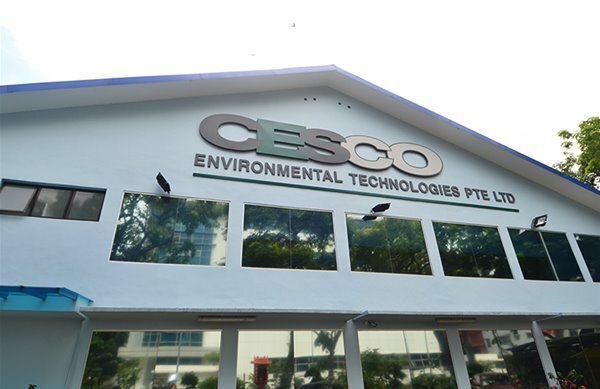 CESCO Environmental Technologies Pte Ltd.
Click here to view more photos of our equipment and facilities in high resolution. Check out our contact information in Singapore, Malaysia, Indonesia and Thailand. The CESCO Group of Companies – comprising of CESCO Environmental Technologies Pte Ltd, CESCO Offshore Marine & Engineering Services Pte Ltd, CESCO Pipeline Technologies Pte Ltd, CESCO Integrated Testing Services Pte Ltd & CESCO Holdings Pte Ltd, aim to be the leading mechanical completion & pre-commissioning services provider in the Marine, Oil & Gas and Petrochemical industries locally as well as regionally. As the industries mature, the demands on our services grow in complexity and sophistication. We are constantly reviewing, upgrading and expanding our capabilities to meet the demands of our valued clients with high standards of services. Continual support from our valued clients proved that we are persistently able to satisfy their requirements. The certification achievements of ISO 9001:2015 Quality Management System, ISO 14001:2015 Environmental Management System, OHSAS 18001:2007 Occupational Health and Safety Management System, BizSafe Star and the most recent Circle of Excellence in Offshore & Marine Industry are recognitions of CESCO’s commitment towards service excellence and leadership, ensuring good health, safety and environmental practices. To promote high quality services that meet our customers’ requirements and satisfaction, ensuring protection of the environment, as well as health and safety of all our employees, customers and the community. We aim to provide the best professional and world class mechanical completion & pre-commissioning services locally as well as regionally for the Marine, Oil & Gas and Petrochemical industries. We focus on continual improvement in our operations & staff competency, meeting contractual & statutory requirements for maximum customer satisfaction, ensuring a harmonious, safe and healthy working environment and prompt delivery of environmental friendly services. © Copyright 2018 All Rights Reserved. Web Design by Pixart Pte Ltd.